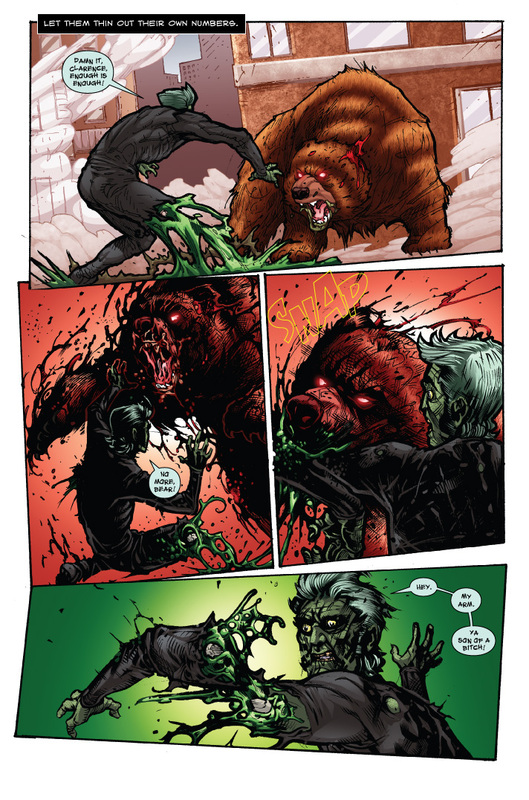 I’m beginning to wonder if there’s going to be anything left of Zombie by the time Bear’s through. The irony of it though… an undead man, destined to walk the Earth alone, only to be killed by his best friend. The answer will be revealed this Thursday. Silly joob, bees don’t work on bears. Silly Toaster, it was supposed to be a pun. The medical bill after this fight is going to cost Zombie an arm and a leg. I don’t think I can digest this. Wow, that pun went right over my head. I can’t bear to watch. Pooh…ya gotta hand it to these guys, tho’.